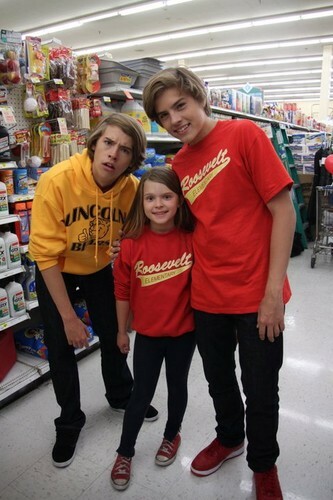 The Brothers. . HD Wallpaper and background images in the 斯普劳斯兄弟 club tagged: cole dylan sprouse twins. This 斯普劳斯兄弟 photo contains 报摊 and 报刊亭. There might also be 超级市场 and 超市.